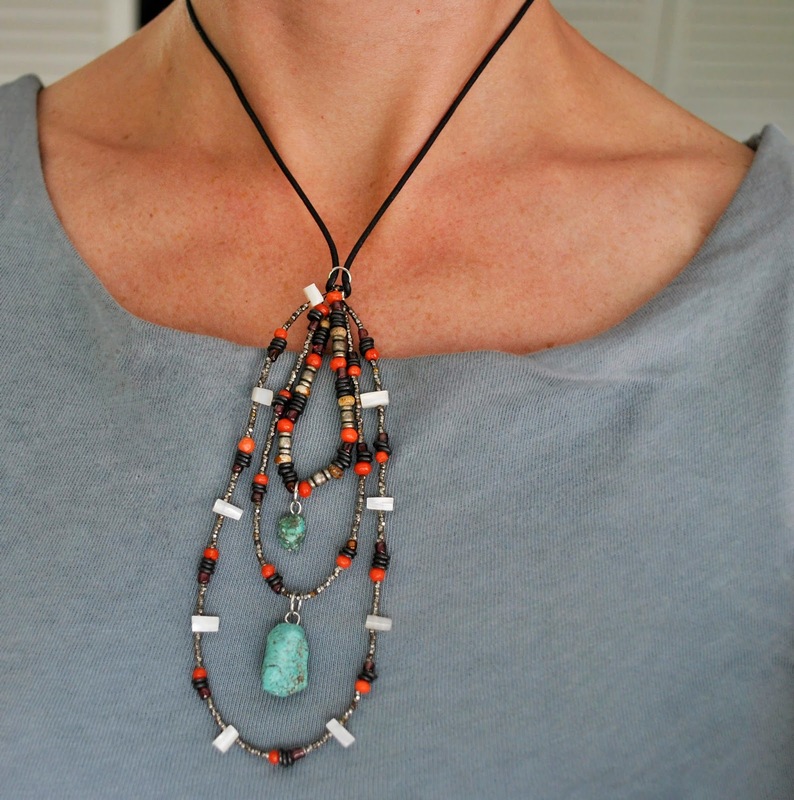 Turquoise, onyx, pearl, coral (faux! always faux!) and silver beads; round and hexahedral seed beads; all suspended from a leather band. I went back and forth on whether to make true teardrop shapes with the three loops or whether to connect them to a flat bar at the top, but eventually settled on this arrangement. It's busy, but just the right amount of busy, I think.